But his century-old bronze effigy—which survived the 1906 San Francisco earthquake and fire—will be changing locations once again. The story goes of philanthropist Georg Zehndner, immigrant merchant in frontier Weaverville, seizing an opportunity presented by the late 19thC Gold Rush boom in northern California, to become (wealthy) Humboldt County rancher and (Arcata) citizen. When the 25th President was shot in 1901, Zehndner commissioned Armenian-American Bay Area sculptor Haig Patigian—also an immigrant—to create the bronze casting of the downed statesman. Arcata Plaza was chosen as a suitable site in the growing town—although currently lauded northernmost campus of Humboldt State University was not founded until eight years later. Yet it is HSU academic/radical protests of ‘settler colonialism’ and damaged Native American tribes which resulted in the statue’s removal at dawn last Thursday. *Yurok oket’oh = “where there is a lagoon” (Humboldt Bay), from o- “place” + ket’oh = “to be a lagoon”. Same name given to Big Lagoon, ten miles North. Neighboring unincorporated township of McKinleyville, CA has more claim to the beleaguered effigy than the University town, having willingly changed its name to mark its namesake’s death in 1901. Previously called Minor (aka Minorville), it was settled in the late-19thC logging boom. After the president’s assassination it joined with (unincorporated) townships of Dows’ Prairie (settled by Joe Dows, 1860) to North and Calville, settled by employees of the California Barrel Company, South, taking its new name in his honor. McKinleyville post office opened in 1903. The town remains unincorporated, and is home to California’s certified “foggiest” airport—Eureka/Arcata, ACV. Downtown San Francisco was on fire, consuming trolleys and neighborhoods, with horse-drawn water carts unable to dowse the flames. Coming full blast after the deadly earthquake, many residents ran—sculptor Haig Patigian among them. He saw the bronze casting works go up in smoke and thinking all was lost, fled. A passing worker—employed by the Ironworks—saw that the statue would be ruined if abandoned, and called to his co-workers who were saving their own belongings. The Examiner wrote: “They dragged the heroic figure to the center of the street and there it remained unharmed, resting on its back”, with an outstretched hand pointing to the sky. Returning to the scene, Patigian noticed a crowd gathering near the Works. He hurried over to find his art piece lying in the street—the rescue vehicle used to haul it to safety a charred wreck. Twelve days after the great quake, George Zehndner, Arcata businessman and benefactor who ordered the bronze, received a telegram from Patigian stating the effigy had been saved. Haig Patigian was a respected artist in his day, at the time of his death called by the San Francisco Chronicle “one of the giants of San Francisco’s Golden Age.” Many of his works survive in San Francisco, including one of Abraham Lincoln outside City Hall, itself regenerated and reconstructed after the demise of its iconic predecessor, Chronicle Archive picture, right. Zehndner paid $15,000 for the original sculpture in 1906—lost, mourned and then recovered unblemished from the glowing coals of the surrounding foundry. One hundred thirteen years later the now-politically-incorrect statesman found a new home—in Canton, Ohio—where the local residents appreciate his other works—including a McKinley Memorial Library and Museum. The statesman’s 8-1/2foot 800-lb bronze likeness will find a public stance nearby. Last week brought some kind of closure to the beleaguered bronze. Through fire, earthquake, flood and (occasional student) harassment, the skilled lost-wax bronze rendering of the late 19thC politician will not bite the dust. This time it will rise again on another plinth in another guise: Canton was McKinley’s chosen home town. He had planned to retire there. Now he will. In Canton, the townspeople have $15,000 to spend. That’s exactly how much its benefactor Arcata resident Zehndner paid for the sculpture in 1906. And Arcata has accepted. We IWSGers know how Fate—and our writing Muse—tend to travel hand-in-hand. But there’s no telling how fickle financial finagling will affect any outcome. [choose one] Whose perspective do you like to write from best: the hero [protagonist] or the villain [antagonist]? Now there’s something to get our [insecure] teeth into. In McKinley’s case, he is both bad guy and good guy—depending on our —writerly/historical— perceptions. While volcanic mayhem continues to play out in fresh ruptures around Hawaii’s Kilauea fissure zone, see last month’s blog update, below, our Insecure Writerly hearts go out to a duplicate blast from Mother Earth in Guatemala. It seems superfluous to remind ourselves that the hurricane season officially kicked off June 1st—conveniently “tropical storm” 2018 Alberto already gathering speed—when devastated homeless Puerto Rican refugees from last year’s hurricane Maria still have no dependable electricity (a public service in U.S.) or back-up power source. Meanwhile, half an ocean away, another volcanic tragedy strikes Guatemala where hope in the search for survivors underground is waning. In Central American Fuego—as with Pu’u-O’o—there is VOG—unbreathable air formed when sulfur dioxide SO2 and other gases/particles emitted by an erupting volcano react with oxygen and moisture in the presence of sunlight—to add to the mix. It bears remembering that when Iceland’s Eyjafjallajökull erupted in 2011, all trans-Atlantic flights were cancelled. My intention here is not only to draw attention to severe gaps in this Administration’s compassion for human suffering—California went to the polls tonight—but to highlight past ways some of our ancestors used to make light of the heaviest subjects—including death, famine, sickness. Our learned chieftain Alex would have a sci-fi solution, unleashing from his fantasy bag of tricks a plethora of goodies to feed our imagination—and lighten our spirits. Science Fiction or Real Earth Scenario? We insecure writers know that sci-fi only came to the world of literature with ‘Forties /’Fifties greats like Isaac Asimov, Frank Herbert [“Dune”], Heinlein, Vonnegut and Clarke—unless you count Jules Verne and H.G. Wells’s 1895 “The Time Machine”. So when sci-fi seems to be playing out around the Earth in new and unimaginable ways, it may serve us well to revert to childhood games we used in those times to learn what we didn’t feel like learning seriously. Hold on to your hats, IWSGers, and watch as the alternative learning rhyme unfolds. This beauty has particular attraction for those hundreds-of-thousands who may have watched the British royal family parade through May, also below. And wondered where all the names came from. In Brit kids’ speak, these monarchs date from 1066. And we’re all heard of that. The English try NOT to remember that before the Magna Carta, there were other kings and queens of far greater lineage. Save that for another time. HARRY FOUR, FIVE, SIX AND WHO? FOUR GEORGES, WILLIAM & VICTORIA. NED, GEO, NED, GEO, LIZ. In 1660 Scotland enacted the Reformation—all worship to be Protestant; Roman Catholicism outlawed. Hope you IWSGers survived your history lesson. Thanks for your patience. You will be tested next month—lol. Kilauea, in the southeastern part of Hawaii’s Big Island, is one of the most active volcanoes in the world. The sacred mountain—domain of fire and lightning goddess Pele—has been erupting on and off for hundreds of years—possibly thousands. This particular episode, fueled by accompanying earthquakes and aftershocks, began late Thursday afternoon in Leilani Estates, a subdivision near the small town of Pahoa, a 30-minute drive south of Hilo. Why is Kilauea Erupting Now? “We don’t know enough detail about her internal plumbing to give really good answers to this question. The short answer is that a blob of new magma from deep below the volcano got injected up into the volcanic edifice. Big Island Hawaii’s Kilauea has been erupting continuously for more than thirty years, but new background activity flared up significantly last week after a series of powerful earthquakes—Mag.6.9 and Mag.7.0—struck the island. A dozen new volcanic fissures have since opened up on Kilauea’s flanks, and the combination of flowing lava and noxious sulphur and methane gas necessitated the evacuation of 1,500 residents. USGS volcanologists had been monitoring the volcano’s southeast flank for months before last Thursday’s eruption, aware of its instability. “It will fall into the ocean someday,” said U.S. Geological Survey volcanologist Wendy Stovall. How Long will This Episode Last? As one side of the mountain slowly tears itself away from the rest of the volcano, it creates an easy subterranean pathway for the magma—underground lava—to travel along. “There’s more magma in the system still to be erupted. As long as that supply is there, this eruption will continue,” she said. As lava oozes down steep slopes, it often breaks apart into a billowing avalanche of hot rock and gas, called a pyroclastic flow. Pyroclastic flows destroy anything in their path. Lava flows have damaged areas around Kilauea for decades. Flows destroyed a visitor center at Kilauea in 1989 and overran the village of Kalapana on the volcano’s southeast flank in 1991. Current residents of Leilani Estates have been evacuated, but allowed to return, while local agencies continue to monitor the furnace. As lava inundates the heavily forested area outside Hilo, organic matter burns and releases methane. “That methane gas can get trapped in pockets beneath lava flows or underground and explode violently, throwing rocks and debris in every direction” said Ms. Stovall. Kilauea has been erupting continuously since 1983 and is considered among the top ten world’s most active volcanoes. In 2014 lava burned a house and overran the local cemetery in Pahoa, but this flow chose to stall outside the town this time, and has not crossed the road. Eruptions of lava fountains continued through last week, leading geologists to prepare for further activity. “Because lava on Sunday was flowing farther than it did in the first days of the eruption, that means the magma supply is still present and shows signs of continuing”. Flows are still moving quite slowly. USGS scientists were able to walk away from hot lava deposits fairly quickly. So far ten vents have developed within a 20-miles radius, and new fissures are expected. Kilauea is a shield volcano—broad and domed with ten-mile wide sloping sides made up of liquid, gas-poor lava that does not explode. That contrasts sharply with a stratovolcano, such as Mount St. Helens, whose eruptions are made up of thick, sticky, gas-rich lava that explodes, creating ash. Legend tells that goddess Pele journeyed in her canoe from the island of Tahiti to Hawaii. She tried to create her fires on different islands, but her sister, Namaka, was chasing her, trying to kill her. The two sisters fought and Pele was killed. She can also change form, appearing as a white dog, old woman, or beautiful young woman. In addition to being goddess of volcanoes, Pele is known for her power, passion, jealousy, and capriciousness. She has multiple siblings, including Kāne Milohai, Kamohoaliʻi, Nāmaka and other sisters called Hiʻiaka—most famous being Hiʻiakaikapoliopele—Hiʻiaka in the bosom of Pele. Hawaiian mythology calls them to be the offspring of Haumea. Pele’s siblings include deities of various types of wind, rain, fire, ocean wave forms, and cloud forms. Her home is believed to be the fire pit called Halemaʻumaʻu crater, at the summit caldera of Kīlauea. Her domain encompasses the whole volcanic field on Big Island. Agencies, emergency services and first responders are active, continuing to keep the public safe, schools open. Local residents who have experienced lava episodes before, are patiently waiting for Pele, goddess of fire, wind and volcanoes, to give the Big Island a break. Bless you Pele—and Hi’iakapoliopele, in your bosom. We’re believers. The Nuclear Option—Above or Below Ground? Doomsday ‘Preppers’ have been getting ready for Armageddon-aka-nuclear misfire—cultural breakdown—since the Cold War; but in Silicon Valley they have made it into an art. But, having said that, he believes it’s logically rational and ‘appropriately conservative’ to ‘manage the risk’, i.e. plan for the eventuality. Vulnerability of the United States was exposed by the Russian cyber-attack on the Democratic National Committee during the U.S. election, and by a large-scale hack on October 21st, 2016 which disrupted the Internet in North America and Western Europe. World food supply is dependent on GPS, logistics, and weather forecasting, which are generally dependent on the Internet. On the Peninsula, every geek knows the Internet is dependent on D.N.S.—the system that manages domain names. Exactly how many wealthy Americans are really making preparations for a catastrophe is difficult to tell; a lot of people don’t like to talk about it. “Anonymity is priceless,” according to one hedge-fund manager. Reid Hoffman, co-founder of LinkedIn and a prominent investor, recalls telling a friend he was thinking of visiting New Zealand. “Oh, are you going to get apocalypse insurance?” the friend asked. Dr. Robert A. Johnson, a graduate of Princeton, working on Capitol Hill, before entering finance—M.D. at Soros Fund Management—describes himself as an accidental student of civic anxiety. After the 2008 financial crisis, he became head of a financial think tank, the Institute for New Economic Thinking. He grew up with financiers, company chairmen, hedge-fund managers in Greenwich, Connecticut. Essentials in the Bug-Out Bag, along with the hatchet, have to include a parachute (from the private plane), foldable canoe (to cross that river of disaster) collapsible tent or Bucky Dome—Buckminster Fuller would approve. One interesting fact is consensus that small is better than big when the S–t Hits the Fan—it even has its own acronym—TSHF—i.e. silver in small coins beats large pieces of gold jewelry when it comes to trading for food and other life essentials. Not a happy scenario for a beautiful autumn day, perhaps? But you know what they say about Silicon Valley—way beyond the Capitol Hill wall: always leading edge. Will we Insecure writers follow? We IWSG-ers are mostly introvert—according to Myers-Briggs—that’s how we pop up after it’s all over and ask “wot hoppen?” because we’ve been so head-down in the rabbit hole. Trinidad Civic Club’s Memorial Lighthouse site is a sacred one, erected on a small piece of land donated to the club in 1948 by Earl and Neva Hallmark, who in 1946 built the redwood pier at the Harbor. It was to play an important role in the lives of commercial and sport fishermen, and supported the ocean-going life of Trinidad until its steel replacement, which handles marine traffic today. Synchronously, the Memorial Lighthouse stands on an overlook of the Bluff down towards the sacred burial ground and Yurok village of Tsurai—home to generations of First People—on Old Home Beach. The Trinidad Memorial Lighthouse and the ancient village setting are a reminder of how preservation of sacred places can exist together. The Yurok Tribe are supportive of the Lighthouse preservation fund. Trinidad Memorial Lighthouse, constructed in 1949 to house the 1912 coal oil lantern, was decommissioned by the Coast Guard when the electric light was installed at the Trinidad Head Lighthouse in 1974. The area also accommodates the two-ton 1898 bronze bell decommissioned at the same time when automation came to the Bell House on Trinidad Head, pictured below right. Trinidad Memorial Lighthouse, a replica of the 1871 Trinidad Head Lighthouse, was built by Trinidad Civic Club on a 45ft. x 50ft. parcel of the Bluff donated by Earl and Neva Hallmark in 1948 and dedicated on June 26, 1949. The lighthouse contains a 1912 coal oil Fresnel lantern, the last one of its kind, decommissioned from use by the United States Coast Guard on the Pacific Coast. It was previously installed in the Trinidad Head Lighthouse. Later, the World War II USS Danforth anchor, recovered from the bay, was added to the site, and a bronze plaque reading “In loving memory to those who perished at sea. They shall live forever in our hearts” was dedicated May 30, 1970. The site on the Bluff at Edwards and Trinity Streets also holds the 1898 4,000-pound bronze fog bell moved from the fog Bell House on Trinidad Head, pictured below. It also serves as a Memorial Wall engraved with the names of 238 individuals Lost or Buried at Sea. An annual Memorial Naming ceremony is held on the last Sunday of May commemorating and honoring those named, since 1995. TRINIDAD City leaders and Civic Club have agreed in principle to raise $40,000-$50,000 to move the Trinidad Memorial Lighthouse a few yards away, outside the threatened landslide area. Council and Civic Club are working together with professional geologists to complete the move by October 2017, before the onset of the rainy season. Foundation Realignment or Shoring Up? Civic Club President Dana Hope informed the City Council that her group would accept any stopgap financing, to be secured via fundraising which included online solicitation. $40,000-$50,000 in ‘seed money’ is contingent on how much more Trinidad Council can secure in financing from California’s Office of Emergency Services (OES) and the Federal Emergency Management Agency (FEMA). OES funding is reckoned likely, but FEMA’s response is ‘pending’—an understandable statement, given their current clean-up operations in Florida and Texas after two hurricanes. The slope underpinning both the Lighthouse and Edwards Street, town thoroughfare that passes just north of the lighthouse steps, need long-term reinforcement. Construction costs range from $100,000 to $1 million, according to a recent engineering report, based on drill borings, readings from slope inclinometers and aerial and field mapping, compiled over last six months by SHN Consulting Engineers & Geologists, Eureka. Plight of the Lighthouse has attracted national and international attention and that interest is starting to pay off. Those wishing to add a named donation, or gift on behalf of a loved one already buried at sea may wish to use this avenue of funding. If you want to give anonymously, or make a large (private) amount, you may email for more information to memoriallighthouse@gmail.com. Trinidad Civic Club, in cooperation with Bureau of Land Management (BLM) and U.S. Coast Guard, arranges free tours of Trinidad Head Lighthouse throughout the year—a strenuous walk around ‘The Head’, but worth it. Discussion is ongoing to find the most reasonable and cost-effective solution before the rainy season. Happy New Year to all Insecure Writers! And to the world at large. Mostly, thanks to our prolific host and Ninja Cap’n, Alex, for allowing us crazies free rein on his excellent forum. It opens writerly doors, and allows us to vent, when things go wrong. May we all survive—nay, plunge into—this year and follow our dreams. 2015 saw many changes in awareness of common responsibility for our country’s finite resources, both nation-wide and internationally, bringing accord which would have been impossible a decade ago. Politicians are—with careful research—actually clearing desks, allocating reserve funds to deal with the atmosphere-environment. It is no longer an ‘issue’. Climate has become real time—Western nations’ new goal—to do good by the planet, our only home. West Coast shakes over New Year ranged from Mag.4.7 in Seattle through M.6.2 Nevada/Utah border, to M.4.1 off Ferndale, CA. Judging by whale movement—on late migration south delayed by warm northern waters—quakes and movement are happening on the coastal plate, where the Gorda fault fissures to join its subterranean sisters under (human habitat) the land. Several landslides along the coastal Scenic Drive route north of the Eel and Mad Rivers—in Humboldt County—have made travel ‘difficult’—official sources. Once again we realize our Earth Mama is shaking her feathers—a little ruffled by now with all the oil extraction and fossil burning we’ve been up to. Latest round of seismic unrest included quakes in Oklahoma, causing power outages, and widespread flooding damage in Mississippi basin. In Pacific NW, several dormant volcanoes shook over New Year, alongside multiple larger (Richter Mag.4.2 or more) earthquakes rippling along faults extending N-S along West coast United States. Authorities remain vigilant, with such heavy movement currently underway. If Mama is shaking us, what is it we’ve done to get her so annoyed? Well, let’s take breathable air, for a start—yes, we decimated Earth’s fossil trees—so, what are we doing about it? Headwaters Forest was purchased in 1999 by State and Federal government agencies, and put under permanent protection. Clear-felling practice was legally reduced to a 20-40-acre maximum. 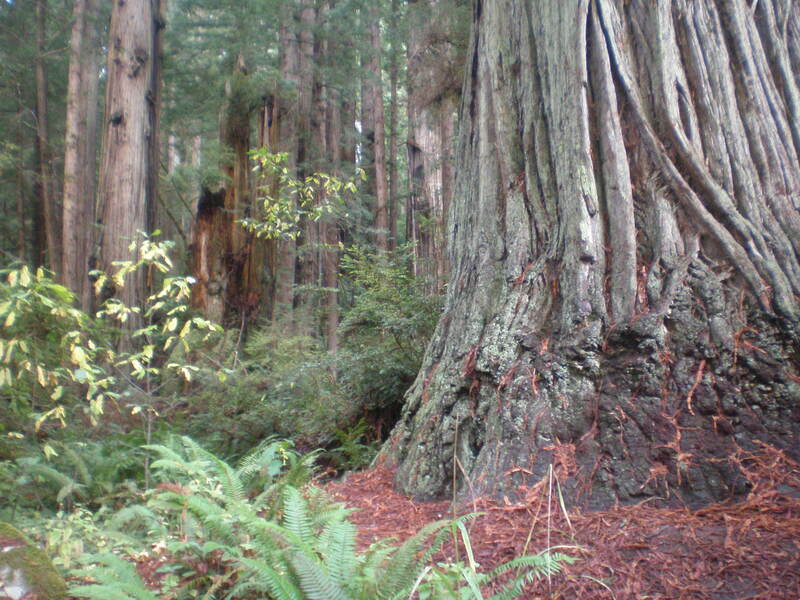 Old-growth redwood forests are structurally diverse, with a range of tree sizes, reiterated tree trunks—high tree and stand biomass—and with complex canopies. Headwaters old-growth is characterized by a mixture of redwood (Sequoia sempervirens, 50-70% of overstory) and Douglas Fir (Pseudotsuga Menziesii, 30-47%) with a density of 70-80 trees per acre. Conversely, unthinned second-growth stands are dominated by Douglas Fir (60-80%), with density of over a thousand trees per acre. Growing trees like a crop of grain is no longer the enlightened view. Scientists from HSU have discovered that the older the redwood, the harder and more disease-resistant is the wood, and the tougher its ability to withstand weathering, damage. That there is more life-support value in one 1000-year old Sequoia, than in a thousand 10-year olds. Forestry attitudes are changing too. Heavy Caterpillar earthmoving tractors, that caused such erosion—skid trails—with consequent pollution to streams and spawning pools, are being replaced by smaller, lighter shovel loaders on tracks that leave the forest floor intact. State law now enforces a mandatory buffer zone of trees now, along streams and rivers. Finally the salmon and other native fish are returning. Forestry business mantra is that they are ‘on target to create new forests’ (in one hundred years), like the ones protected in the Redwoods National and State Parks, begun by President Teddy Roosevelt in 1875-92. He and John Muir should by now roaring with delighted laughter in their (redwood) coffins. At the time Headwaters was established in 1999, 60% of the area had been logged. In some areas, forests were only beginning to regrow from clear-cut harvests of the 1980s and 1990s. Inheriting unnatural second-growth forests dominated by Douglas Fir, Bureau of Land Management (BLM) began restoration thinning in 2004. Goal of restoration was to accelerate forest development towards old-growth conditions, and restore a more natural species mix to each area—by cutting Douglas Fir and leaving Redwood and other less common species. From 2004 to 2013, BLM thinned 1,600 acres—approximately 21% of Headwaters Forest Reserve. In 2014, BLM began a second round of thinning with an idea of introducing more ‘spatial complexity’, to mimic conditions found in old-growth forests within Headwaters. BLM workers created a mosaic of tree density across second-growth stands, by building off recent restoration work completed in Redwood National and State Parks. They also completed their research project in partnership with Humboldt State University. Their report, published 2013: “Modeling Young Stand Development towards the Old-growth Reference Condition in Evergreen Mixed-Conifer Stands at Headwaters Forest Reserve, California”. Life without trees—lack of breathable air—would be a scenario more appropriate to Star Trek, CassaStar, or in our sci-fi leader*, Alex’s new ‘geek stuff’. But we breathe on, thanks to the lungs of the planet—threatened, decimated—broken but unbowed. *If Alex can branch out into short stories—’geek stuff’—I can face the bureaucracy with a little non-fiction of my own—lol. Thanks, Alex and fellow IWSGers for listening. On most cultural issues, Californians lead the pack. Except, that is, in their heedless determination to withstand Earth tremors of any scale. They are getting what they wished for now—High tides to satisfy the most intense surfers—literally waves to die for. World attention has been understandably focused on volcanic mayhem in the Himalayan chain—larger than 7.8magnitude Richter quakes, with repeated aftershocks, causing tragic loss of life in Nepal. Then, without time for humans to regroup, several subsequent 7.6mag. shocks, shattering Mount Everest, Kangchenjunga and swathes of Tibet—devastating the Roof of the World. 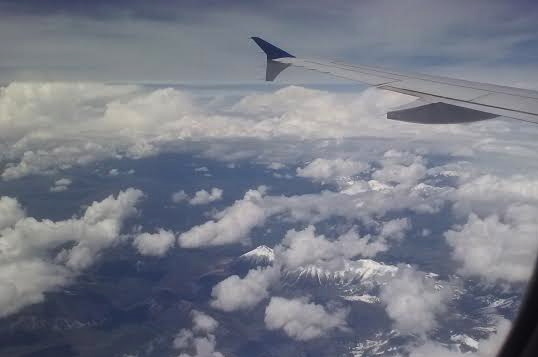 Mile-high Denver and hardly a drop of snow. H20 crisis throughout Western U.S.A.
Half a planet away, USGS’s reputed “insignificant seamount” of Juan da Fuca on the Gorda offshore crustal plate, in Northern Humboldt, CA, has been acting Metronome. It’s been ticking in and out of 5.1mag.-6.1mag. 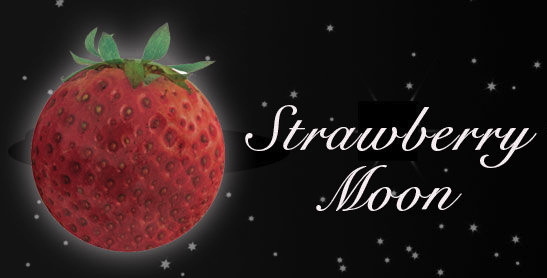 shifts, as high tides became higher, in runup to Tuesday’s June 2nd Full Strawberry Moon. Tidal effects on Oregon coast have increased too, in rhythm with the rest of the Pacific. 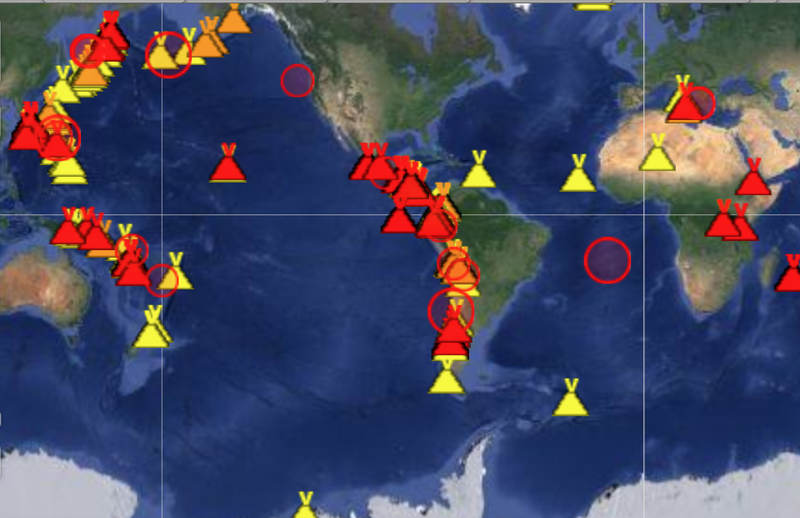 Even Hawaii and precious Galapagos Islands on the Cocos Plate have not escaped volcanic broiling. Santorini, Etna and even Vesuvius have chimed in. There seems no end in sight. Early drought and water hose bans have made June and the rest of this parched planet feel drier—less capable than ever before of withstanding subterranean cracking—and Fracking. Unrelated to writer’s block? you wonder. Back when there were Ninja Cap’n storytellers who created paper copies of triple best-sellers overnight—putting physical books on people’s shelves—yes—we knew what summer meant for us: Summertime business shuts up shop; people migrate. In writing—and in journalistic—circles, it’s called the “silly season”. Now many writers—with paper dreams or even electronic ones 😉 —despair of ever finding an agent in summer—unknown, unobtainable, or elsewhere. So can you blame them at times for wanting to fly away themselves? Maybe this summer we shall pay greater attention—keep our minds focused, senses honed, noses to the grindstone. Funny how major shifts in our planetary home have a way of rearranging the braincells—systematizing the synapses. astrological storm—more of a Moon than a moan. Maybe now is not the best time to mention a few archetypal cycles, coming back to haunt us—this very week in history. In June 1963—five months before he was assassinated—U.S. President John F. Kennedy spoke on the podium of the newly-liberated Reichstag in an undivided Berlin. His famous “Ick bin ein Berliner” speech was heard by millions of Europeans, who already loved him for what he stood up for. His opening doors—and spectacular unveiling of East-West Hamburg/Potdam Autobahn* started the end of the Cold War. Thanks and ahoy to Cap’n.Alex for indulging me in lost dreams of a better world. Otoh, if JFK could do it, we IWSGers can do it: weather this storm. Because continental U.S.A. is suffering right now—and I’ve never been one to crow during others’ misfortune—PacNW experiencing tropical weather window—I choose to commiserate for this month’s IWSG get-together, rather than stress how fortunate I am to live where I do. Breathes deeply. Let me try to put our current earth-shivers in a more space-time perspective—as does our revered leader, Space Ninja Captain Alex, who can conjure a blockbuster sci-fi series whenever real life gets tough. Bless him for continuing to inspire—me, at least. It’s All in the Stars. Earth and its Resources Depleting at irreplaceable rate. Counterbalance by Earth-Support Groups having little effect. Apocalypse scenario in 50% floodplains, Emergency agencies battling counterproductive volcanic/seismic activity associated with fossil extraction, ongoing. In spite of damage, Earth still reclaimable—with interGalactic assistance. Please help. Despite Earth’s schism:lower echelon civilization K-type-0 in 48.2% population, there remains powerful 51.8% K-type-2-cerebral-zen-SETI-based group working to regenerate earth meadows and mountains. In 1964, Russian astrophysicist Nikolai Kardashev categorized civilizations by total energy available to them. He isolated three levels of civilizations, based on their capacity to harness and use power. These have since been expanded to include a further four—in light of increasing speculation spawned in cross-discipline math/theoretical-physics. Earth is a zero level civilization. The Kardashev Scale now with seven levels of civilizations, bases its categories on (putative) galactic civilizations and their power consumption—but more implicitly on their technological advancement and enlightenment. Type I civilization would be able to marshal energy resources for communications on a planet-wide scale, equivalent to the entire present power consumption of the human race, or about 1016watts. Type II civilization can surpass this by a factor of approximately ten billion, making available 1026 watts, and exploiting the total energy output of its central star. Type III civilization is evolved enough to tap the energy resources of an entire galaxy, enabling access to power sources, approx. 1036 watts. Carl Sagan pointed out that the energy gaps between Kardashev’s three types were so enormous that a finer gradation was needed to make his theory work, e.g. Type 1.1 civilization could expend maximum 1017 watts on communications, while Type 2.3 could utilize 1029 watts. Kardashev estimated—on a discriminating scale—that the human race at present qualifies as approx. Type 0.7. But neither scientist figured in the extra oomph which comes, when Mother Earth decides to add a little pizzazz to the equation. Volcanic eruptions 7.2 Kamchatka Feb. 23; earth tremors California ongoing; volcanic explosions Villarica, Chile March 2nd, ongoing. Weather, on the other hand, will always get a rise out of someone. We do not have to submit to wall-to-wall volcanic earth movement, or anomalous El Niño weather to get our pad out, intellectual pencils sharpened, and brandish our critique. In 2010, I wrote how March came in like a lamb, but went Out Like a LION. This time, the LION is biting at March’s open door. And we seem to have no reprise. Grand Cross lingers, on top of celestial fireworks: aligning in the heavens—perhaps to give us hope. Great combination for stargazers, but poor Earth suffers under huge stresses in her—subterranean—tresses. Her petticoats are leaking out at the edge of her dresses. Pollution finally raises its oh-horrendously-ugly head. Eclipses for equinox, with more karmic cleaning for us to do, as the celestial Grand Cross continues. Buckle up. This year, it might be quite a ride. On November 28th, 2011 a massive radiation storm hit Earth’s electromagnetic field — a direct hit from the sun’s Earth-facing side, exaggerated by the Northern hemisphere’s attitude to our solar parent. Freak storms have been experienced in the last week in all northern latitudes — from Southern (!) California to Oregon to the Midwest to New England to the mid-Atlantic ridge (including Iceland), following on previous eruptions in the Canary Islands (El Hierro, November 10th), and Nyamulagira, Congo. The current European and Asian storms stretch north through Great Britain, Orkney and Scandinavia to the Russian steppes. There have been spectacular aurorae borealis. Most remarkable of all is that Northern Scotland (57ºN latitude) was almost the last to be hit. Throughout November, temperatures remained a balmy 50ºF. Even (spring-flowering) gorse burst into bloom. It recalled an equally abnormal episode in April this year, where temperatures in the same corner of Scotland hit all-time highs. Then Nature descended in spades. 160mph winds hit the Hebrides, mainland Glasgow, Clyde and central Belt, the Highlands; hurricane-force gales funneled east to hit everything not tied down — trees included. Nobody was spared. This example of ‘freak’ weather coursing through the northern hemisphere may not be considered memorable, when the current solar cycle is through with us, but it is unusual, to say the least. And, as we know, other consequences of seismic disturbance — earthquakes — such as the ongoing and terrible nuclear waste toxicity spreading through the Pacific ocean in the aftermath of Fukushima — are still fresh in our minds. The current concern is that the massive six-mile-wide crater of Katla caldera near Reykyavik will explode, melt its overhanging glacier and spew billions of icemelt over the eastern seaboard of Iceland and into the Atlantic ocean. By comparison, the ash cloud precipitated last year by Eyjafjallajokull which halted all air traffic over Europe and North America, would seem like a minor incident. Traditionally it was thought there was no connection between solar storms and terrestrial seismic activity — earthquakes, volcanic eruptions, and their tendency to precipitate hurricanes, tornadoes, and wind storms round the globe. But this received wisdom is changing. Looking at the past year alone, much seems to have occurred following the Sun’s elevated status to ‘active’ (NOAA sidebar two below, right) in line for solar maximum, 2012. Solar activity in the last two months shows increasing frequency of M- and X-class flares at an alarming rate. One of the most insightful prophecies/predictions of the Maya elders for this time is the message of change. In the 20-year period (katun) which began in 1991 and will complete in 2012, they anticipated this katun would bring ‘scarcity and the arrival of great leaders’. It is also the katun of ‘remembering knowledge and writing it down’. In their words, we are fully immersed in a time of ‘change and conflict’. Change comes externally from weather, elecromagnetic fluctuations in the earth’s magnetic field, natural phenomena, celestial disturbance (solar flares) and trauma inflicted by others unable to stop themselves ‘exploding’ their own inner drama. Conflict stirs in the form of personal challenge, grief, bewilderment, depression, anxiety, and fear. Many are going through these experiences at this time. The Maya (through indigenous ancestral transmission and present-day descendants) believe that it is not a time to fear. We are at a crossroads. “Now it is time to choose a new path, decide on a new Self and community direction, to venture into the unknown, to find our true identity of being”. While devotees are already flocking to this ethos in droves, others will choose to stay on the same path, console themselves with the familiar, and invest a great deal of effort in maintaining the status quo. The Electric Universe theory (Thunderbolts publications, lectures, symposia) explores the direct connection between the Sun’s storms — M-class solar flares, CMEs — and their effects on Earth systems: electrical, radio, television, power supplies. Certainly in 1859, the Carrington Event that produced world telegraph blackout and spontaneous fires, has provoked discussion ever since, particularly as a similar event now would create culture-wide chaos; but it is only in recent years that the solar electrical connection has extended outwards into the Universe to encompass plasma filaments, stellar explosions and the plasma tails of comets; and to explain that, contrary to former belief, the void is not empty, but teeming with electrical charge. We on planet Earth are also electrically-charged beings. The conduit which transmits charged particles from the Sun to humans is the same conduit which steers weather through the Earth’s electromagnetic field, and into the human electromagnetic field. Solar activity is known to influence human consciousness (from the simplest seasonal affective disorder –SAD– to extreme summer joy and productivity) and, this logically extends to the effect photons have on our human DNA. Radiation affects the central nervous system, brain function and balance, along with human behavior, and all psycho-physical response in between. So flaring from the same star can cause us to feel nervous, anxious, jittery, dizzy, irritable, lethargic, exhausted, and suffer short-term memory lapses. We can sometimes even feel nauseous, distracted, and suffer headaches. 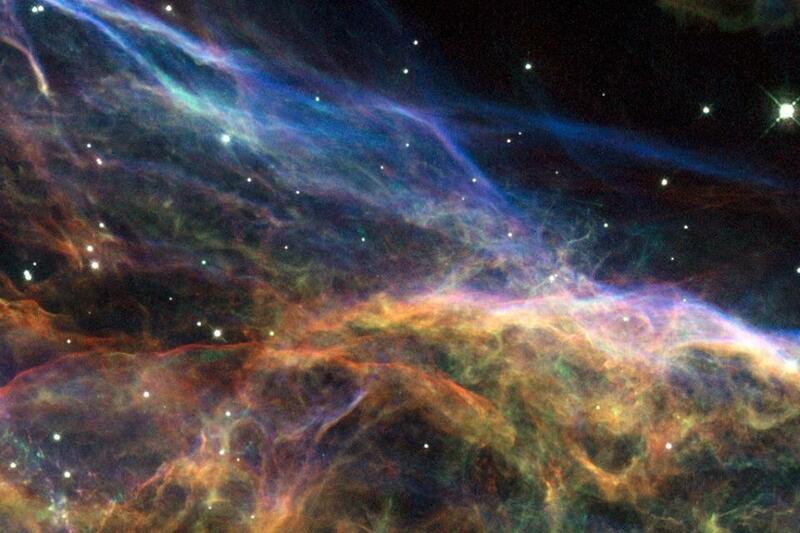 The Thunderbolts project encourages inter-disciplinary knowledge and collaboration of astronomers, physicists, archaeologists, mythologists and biologists bringing together understanding of previously unrelated subjects. They plan to address some of their ideas during their multi-faceted Symposium next month, January 6-8, 2012 in Las Vegas: The Electric Universe: the Human Story. According to the Electric Universe theory as proposed by Thunderbolts scientists, solar flares and photon waves are changing the fabric of our very reality and have a powerful effect on our cells, causing our cellular memories to awaken and clear. Many believe that this speeding-up of consciousness — instant manifestation of the desired object or circumstances — is what has triggered such great interest worldwide in systems like the Law of Attraction, the Abraham-Hicks movement and the revival of New Age consciousness-raising techniques. Photon energy connects instantly — at the speed of light — affecting all human electrical systems, most especially thought processes, so that with this new influence it is important to exercise discipline; that in expressing what we want, we practice care in not expressing what we don’t want. Or that will manifest instead. If one is in process of change and transformation, this energy works well. On the other hand, for those stuck in the past through victimization or anger, more of that will continue to manifest. Philosopher, psychonaut and astral traveler, Terence McKenna, before he died in 2000, believed that we would become consistently and more purposefully attracted by the Eschaton — his anomalous state of ‘unknowing’, a ‘transcendental object at the End of Time’, which draws us into awareness of the ‘New’ — and that time would speed up to such an extent that in those End-days, we might be unable to experience the passage of time in the same way we did even one decade ago; indeed, compared with the concept of time of a generation, a century ago, we are already surpassing such reckoning monthly, weekly, daily. He believed this ‘Attractor’ will speed us up even more. Hence those of us aware that the phenomenon is happening are better equipped to handle the transition from ‘old human’ to New Human. It has been suggested that, particularly during the winter months when we feel light deprivation and shortening daylight hours, we make the most of every opportunity to ‘breathe in’ available sunlight, in snatches throughout the day, in order to refuel the body’s resources. It is only twenty days until the turning of the year. Then, after solstice, the days will lengthen once more. Before we know it 2012 will be here and with it the fulfilment of Maya prophecies: it is an exciting time to be alive — with more revelations in store. Surprise appearances of near-‘twin’ formation crop circles in ricefields in two districts of Yogyakarta near Mount Merapi, Java last week have recruited Indonesians to the crop circle phenomenon and prompted a statement by the Sultanate whose palace, the Kraton, in Sleman district (central Yogyakarta) lies within one kilometer of one of the designs. It appeared two days after its companion, a complex vortex-like mandala figure arrived overnight in a southern suburb of the same city, six kilometers to the south of the Palace. Many believe they predict an increase in earth’s volcanic activity. The first crop circle (January 23rd 2011) in rice near the Palace in Sleman district, central Yogyakarta, is located 30 kilometers south of the 3000-meter (9,000 feet) stratovolcano Mount Merapi which is almost continuously active and last erupted for a whole month in October 26- November 30th, 2010. The second crop circle (January 25th) lies in the Bantul district of Yogyakarta, 6km south of the center (and the Kraton Palace) in a rural district which suffered severe structural damage and loss of life in May 27th 2006 when a 6.2 magnitude earthquake tore through the village. Bantul is known internationally as an important artist’s colony which produces posters using a technique called cukil, daren kidul and Dono Kerto Turi. Crop circle followers worldwide are struck by the synchronicity of the crop circle sightings — these are unique in Indonesia; the first time crop circles have appeared — with their closeness in date, design and proximity to Mount Merapi’s seismic field. Even local Indonesians are contemplating the coincidence of the two designs’ choice of location as a warning of further earth changes in this volatile region. Within days, thousands of visitors lined up to walk through the rice fields to experience the phenomenon first-hand. Many had never heard of crop circles nor read of the phenomenon and several reports described the marks in the fields as the ‘imprint of landing UFOs‘. In a statement from the Yogyakarta Sultanate by Java’s spiritual counsellor, HRH Prince Karyonagoro (Kandjeng Pangeran) the Sultan’s family is ‘taking these appearances seriously’. However the design of the circles has struck him as very interesting as it appears to replicate the form of the Javanese Muladhara, or the base chakra of the kundalini. Several spiritual groups in the city have indicated they believe the appearances are reminiscent of omens predicting an imminent natural disaster. Yogyakarta, once the capital of Indonesia during the National Revolution (1945-1949), is known for its strong Javanese traditions in art, culture, theater and the crafts of shadow puppetry, batik and sublime dance movement originating in the royal Court. Having gained independence in the 18th Century from the colonial Dutch, Yogyakarta has maintained historical architecture from both its colonial past and its Javanese heritage. It is home to Indonesia’s most prestigious state unversity, the Gadjah Mada University, as well as several other private universities which make their home in the region. Yogyakarta is the only province in the country with Special Administrative Region status (SAR) and is alone in being headed by a monarchy. The prince is also head of the spiritual welfare of the people and for this reason a statement on crop circles from the Sultanate is taken to be of great importance. The Bantul crop circle of January 25th (6km S of the city center) also appeared in rice, prompting a rash of local media and news reports linking the appearance to a massive 6.2 magnitude earthquake in the same district on May 27tth, 2006 when much of the village was destroyed and over 1000 people lost their lives. Bantul is known to international art collectors as the home of an artists’ colony which produces unique poster designs called cukil, daren kidul and Dono Kerto Turi. As much of the population in Yogyakarta are resident students attending universities in the city, the crop circle phenomenon has been a popular diversion, with much international discussion being generated and shared with the international crop circle community on Facebook and other social networks. The appearances in rice come at a time when the northern hemisphere — in the winter doldrums between the end of the 2010 (English) season and the beginning of the next, around April 2011 — did not expect to be surprised. The appearances in rice — along with similar anomalous layering of crop and gentle folding and tufting seen in Wiltshire crop circles — have triggered much interest worldwide. Some suggest the timing and synchronous appearance of the designs as presaging seismic activity or earth changes within the next two weeks. Other fears suggest that it presages world shortages in the food supply, specifically rice. The temple’s design is thought to be a recreation of Mount Meru, mythical home of the Hindu gods, called Sumeru i.e the “Great Meru” and a sacred mountain in Hindu, Buddhist and Jain cosmology, considered to be the center of all physical, metaphysical and spiritual universes. It is also the abode of Lord Brahma and the Demi-Gods (Devas). These ideas are sparking a following on several continents.. We will be following volcanic activity in the vicinity of Mount Merapi, (Central Java) and Mount Bromo (East Java) which has also been threatening activity lately. On the seismic and croppie scene, we shall keep you posted. Since posting the above, a third crop circle has appeared in Magelang. More on Java circles here.